Two more Kilo-class submarines are being built for the Vietnamese Navy at the Admiralty shipyards in St Petersburg. 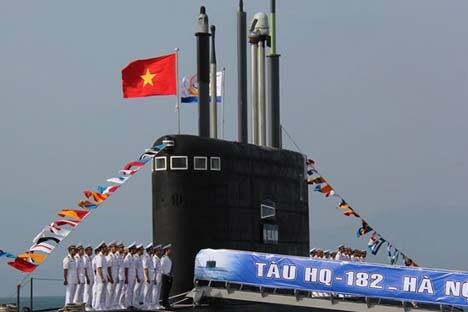 The fourth of six Kilo-class submarines that Vietnam bought from Russia arrived in Cam Ranh Port on Tuesday, June 30, Thanh Nien News reported. The submarine codenamed HQ-185 Da Nang was launched on March 28, 2014 at the Admiralty Shipyards in St. Petersburg, Russia, and then had a trial run on the Baltic Sea, according to the website. It set sail for Russia in the middle of May. The remaining submarines will be delivered by 2016. Vietnam purchased the 6 Kilo-class submarines in 2009 for $2 billion.